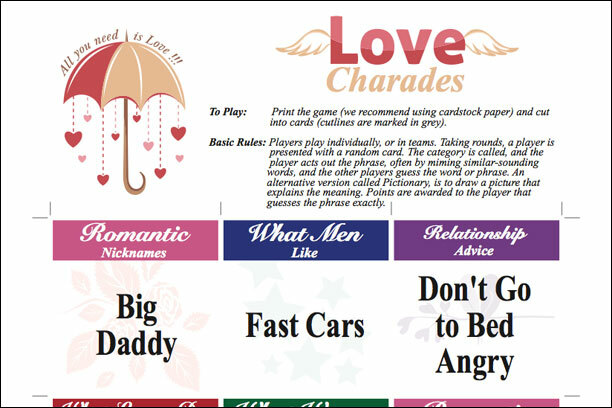 For your valentine party or bridal shower, we've come up with Love Charades. 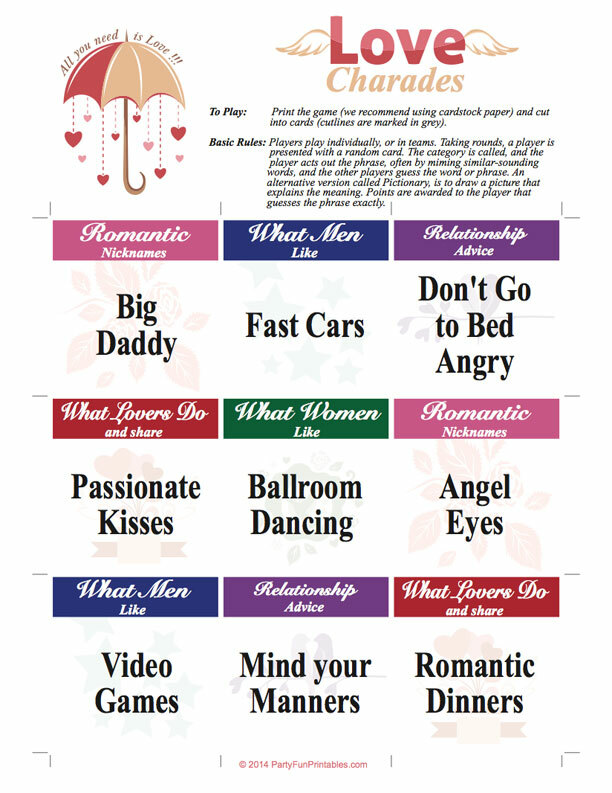 With lovely looking printable charade cards, your guest are challenged to act out funny love nicknames, relationship advice, and more. Players play individually, or in teams. Taking rounds, a player is presented with a random card. An alternative version is called Pictionary. Your players then draw a picture that explains the meaning. The category is called, and the player acts out the phrase, often by miming similar-sounding words, and the other players guess the word or phrase. Points are awarded to the player that guesses the phrase exactly. This is the basic gameplay of this well-known game. If you need more information on how this game can be played, please check out Wikipedia's explanation. Print the game (we recommend using cardstock paper) and cut into cards (cutlines are marked in grey). For even more professional results, you could choose to send the file to a local printer, who can also do the cutting for you.